Diplomat Economy Burl Wood Finish Double Watch Winder With Smart Internal Bi-Directional Timer Control. Today's most extravagant timepieces, from Rolex to Breitling to Movado along with countless others, come equipped with the world's most advanced automatic, perpetual movement. This Diplomat Watch Winder will keep your finest automatic timepieces wound while not being worn. Silent motor with directional controls will keep virtually any automatic movement wound no matter the style or manufacturer. Compact design helps save space and looks great in the bedroom or office. 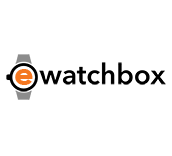 Great for watch enthusiasts that own multiple watches and change watch styles every couple of days. Features: Rotation Switch to select clockwise, counterclockwise or bi-direction winding. Timer Function: Auto Rotate 33 seconds, rest 12 minutes. Auto Rotate 10 minutes, rest 90 minutes. Auto Rotate 30 minutes, rest 3 hours. Auto Rotate 1 hour, rest 3 hours. Our "insert-type" adjustable watch mounting system ensures the adequate- mounting of your watch so it will never detach your valuable watch from the winder during its operation. There is also a detachable attachment for larger watches. High quality materials and craftsmanship go into each and every winder. Seiko Kinetic watches cannot be used with a watch winder. Diplomat offers a full 1 year warranty for this product so you can rest assured that your purchase is protected against defects. 100-240V AC adaptor included. Weight: 1.5 lb. Case Size: 7 x 7.5 x 6.75"